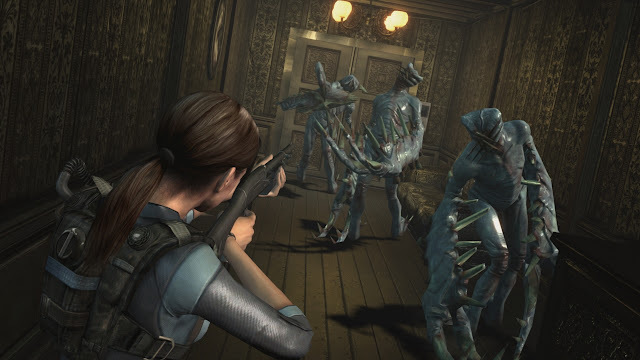 Resident Evil Revelations and its sequel are like the engines that never stop. Capcom continues to roll them out over and over again. The first was originally an early Nintendo 3DS title, and indeed at the time of its release it was subject to a fair amount of praise for really showing what the hardware was capable of. It has since appeared just about everywhere else, including the Nintendo Wii U and, recently, the PlayStation 4 and Xbox One. Related reading: Brad's review of Resident Evil Revelations 1 on Xbox One. The sequel, meanwhile, was always designed for the home console, and released on the PlayStation 3, 4, Xbox 360, and One first. It has since also appeared on the PlayStation Vita. Now both games are available on Nintendo Switch. We’ve already got reviews of both titles on the site, so rather than take another comprehensive look at them, I’d take a general look at how both games sit as examples of the horror genre, and how they hold up on the Switch. The main point that needs to be made, however, is that both games are decent enough, without being particularly memorable examples of either action or horror gameplay. Both games do look good on the Nintendo Switch’s hardware. Neither are particularly ground-breaking works of visual design, but they get the job down, and so far as the Switch is concerned, character models are detailed enough, and environments are clear enough to make an impact when they need to. Of course, in both games the bulk of the adventure is spent within confined environments, which allows the developers to keep players focused on smaller details, but overall it’s fair to say these are good looking games, and certainly have the highest production values of horror and/or shooter titles on the console to date. The problem I have with modern Resident Evil games, including these two Revelations games, is their reliance on action. This is a problem I have with a lot of horror titles, full stop, but especially Capcom's games. As far as I'm concerned, the moment you give players enough resources to physically deal with any and all enemies, the game ceases to be a genuine horror game and is, instead, an action shooter, just with ugly monsters. 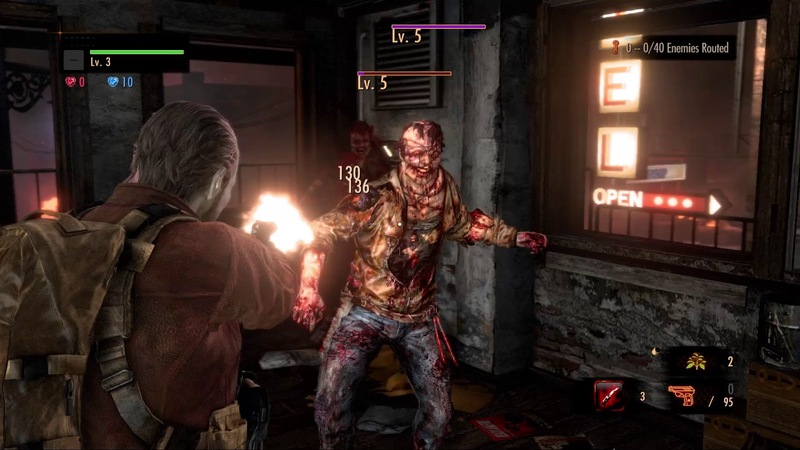 Earlier Resident Evil titles were a different matter, because you had to deal with extremely limited resources (including a limited number of times that you could even save the game), and the clumsy movement of the characters helped build a nonsense kind of tension – a zombie is at your back, but are you going to be able to turn in time? B-horror thrills at their finest. From Resident Evil 4 onwards, the series effectively gives you unlimited ammo (except at the very highest difficulty setting), and sends so many enemies you that you quickly become desensitised to any sense of danger that it might present. They're just more meat to shred with your machine gun. The first Revelations has one particularly good setting going for it; that boat. It will frequently break from that environment for other locations, which is disappointing (and more on the episodic narrative shortly), but when on that boat it is almost – almost! – genuine, old school Resident Evil. A luxury liner that is now effectively deserted is exotic, isolated, and creepy and unnatural in its stillness and quiet. If you weren’t walking around with more than enough ammunition to deal with anything on the other side of each door, there would be a solid sense of classical horror apprehension when approaching each and every new area. Revelations 2’s opening act, on the other hand, is an abandoned hospital-like facility, which is such an overused trope that it leaves a sour taste in the mouth immediately, and though it gets better later on with some of its other settings, it really struggles to break that perception that it’s generic from that initial taste. And even then, it continues to revert to 101 horror stuff like decrepit factories and the like throughout the adventure. Indeed, given that action and set pieces are generic in structure themselves, Revelations 2 is a crushing disappointment in being a horror-by-numbers experience. Both games make use of a television style of episodic storytelling, in which the narrative is broken down into distinct episodes, which tend to end in cliff-hanger moments. It’s not like horror and the episodic structure are strangers – think everything from Stranger Things to The Walking Dead - but again I’m not sold on what it does for the tone of the Revelations games. Too often both games feel more akin to a Michael Bay production, with ridiculously over the top big moments that drown out any atmosphere, and then the quieter moments are too predictable, and the big set pieces they are leading to too projected by the episodic pacing, to really work towards building suspense. It also makes the games feel far, far too safe, which is never good for horror. As you play either of these games you’ll always be keenly aware that there’s a breather from whatever your characters are going through just around the corner, and so it’s far too easy to be blasé and bash your way through the game. I’m pretty good with horror games as a rule of thumb, but that said, a good horror game can still make me sweat on making mistakes, or can immerse me within the atmosphere to the point where I will involuntarily jump when the monster does crash onto the screen. Resident Evil Revelations just didn’t have that impact on me. I played them as I would any other third person shooter. With all that side, both games are fun enough, and play well enough that there are far worse ways to spend a couple of hours blasting through hordes of the enemies. These games were never meant to be major entries in the overall Resident Evil franchise. They were side stories and fillers, designed to flesh out the world and expand on the character roster, and they achieve that. Dedicated Resident Evil fans will love both games for that, but the more I play the more I feel that Capcom is really struggling with the conflicting expectations of Resident Evil: people want the series to be big budget, horrific, and action orientated. None of those traits are mutually inclusive of one another, and the in trying to make all three work together it’s easy to see Capcom is leaning heavily on the action side of things. Which would be fine, except these aren’t top flight action games either. They’re serviceable, but enemy AI is generally poor, the set pieces lack nuance and depth to the challenge, relying more on throwing large numbers at players. Furthermore, while the weapons control well, they’re also not up to the standards of the real A-grade shooters. 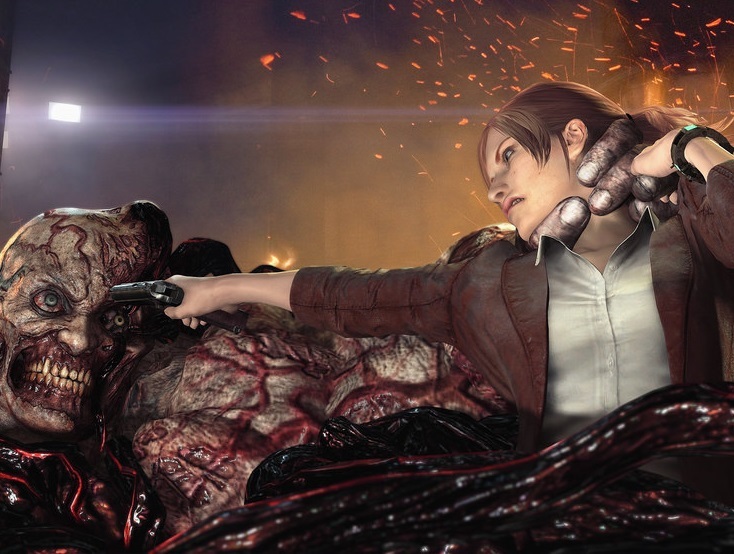 Related reading: Matt's review of Resident Evil Revelations 2. Of the two, I give the tip to the first Revelations, as that boat setting really is up there with the original Resident Evil’s mansion, and Resident Evil 0’s train as a distinctive and brilliantly designed environment. Otherwise I find these games to be unremarkable. Entertaining, but unremarkable.